It turns out medieval religious manuscripts were not exclusively the domain of male monks. Fleck of a rare gemstone pigment in fossilized teeth prove women were involved in the making of religious manuscripts. We'll never see these exquisite books the same way again. Surviving medieval religious manuscripts can be quite beautiful, with impeccable calligraphy and adorned with intricately detailed and brightly colorful illustrations. By and large, their authors remain unknown, and they've been assumed to be monks, since the few signatures they contain are of male names — it's likely humility prevented most authors from identifying themselves. However, there's evidence that suggests nuns in Salzburg and Bavarian monasteries may have been working as scribes and artists as far back as the 8th century. 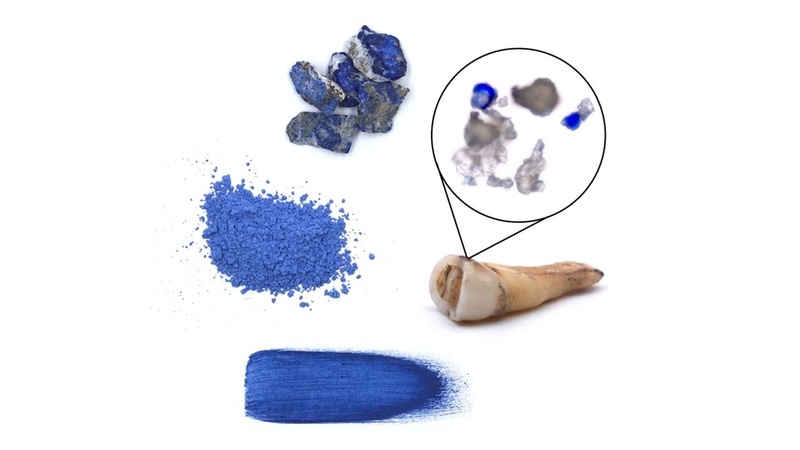 And now, a new study, published on Jan. 9 in Science Advances, reveals physical proof that women were involved in religious manuscript production: telltale flecks of ultramarine paint found in the fossilized teeth of a middle-aged medieval nun. To get from a few bits of pigment to the conclusion that someone worked on medieval manuscripts may seem like quite a leap, but it's not. 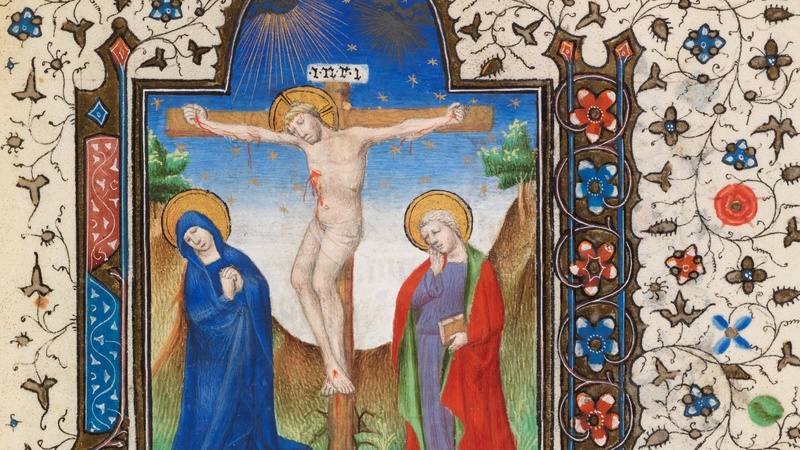 That's because those flecks are lapis lazuli, the source of luminescent ultramarines in manuscript illustrations. Ground and purified into paint, the gemstone's presence is an unarguable indication that the woman was involved in illustrating the books since the pigment was so extraordinarily expensive that it was used almost exclusively in the production of religious manuscripts. Its extreme value was due to its scarcity, as a mined product of just a single area in Afghanistan now called Badakshan. According to study historian Alison Beach of Ohio State, "Only scribes and painters of exceptional skill would have been entrusted with its use." 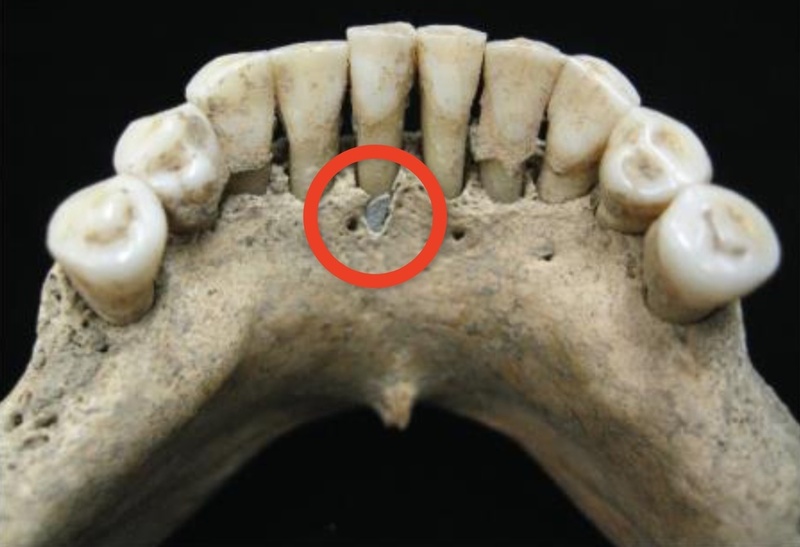 When the team of international researchers were analyzing fossilized dental calculus — tooth tartar and plaque — to learn more about the nuns who had lived at a medieval monastery in Dalheim, Germany, they came across something unusual in one woman. She was estimated to have been between 45 and 60 years old when she died, and to have lived sometime between 1,000 and 1,200 AD. In her teeth were traces of lapis lazuli. "It came as a complete surprise — as the calculus dissolved, it released hundreds of tiny blue particles," says lead author Anita Radini of the University of York. X-ray spectroscopy and micro-Raman spectroscopy revealed the flecks to be the gem. Once the lapis lazuli had been identified, it was clear the woman had been involved in manuscript production, but why would the gem fragments be all over her mouth? Radini recalls, "We examined many scenarios for how this mineral could have become embedded in the calculus on this woman's teeth." In the end, only one explanation really made sense. "Based on the distribution of the pigment in her mouth," says coauthor Monica Tromp, "we concluded that the most likely scenario was that she was herself painting with the pigment and licking the end of the brush while painting." The woman's lapis lazuli is a needle-in-a-haystack, history-changing find. 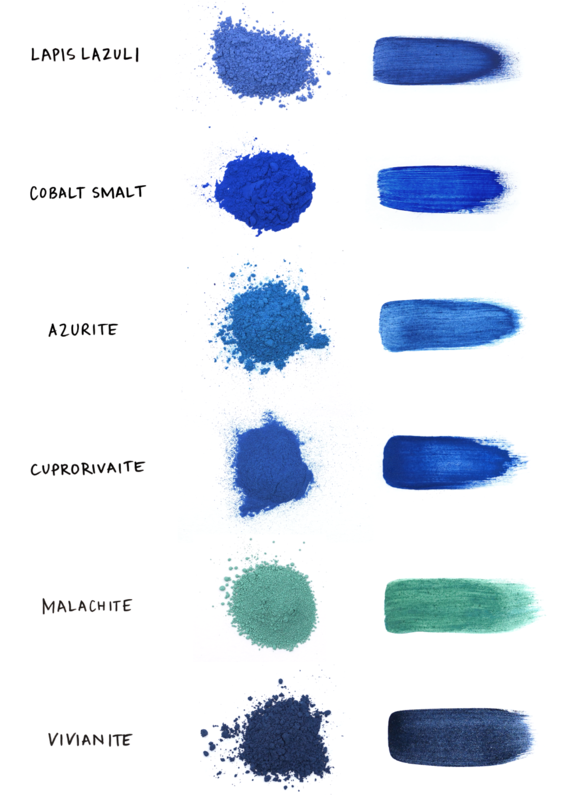 Says senior author Christina Warriner of Max Planck Institute: "Here we have direct evidence of a woman, not just painting, but painting with a very rare and expensive pigment, and at a very out-of-the way place. This woman's story could have remained hidden forever without the use of these techniques. It makes me wonder how many other artists we might find in medieval cemeteries — if we only look."